This is one of my favorite beers of the winter season. Makes me all warm inside. 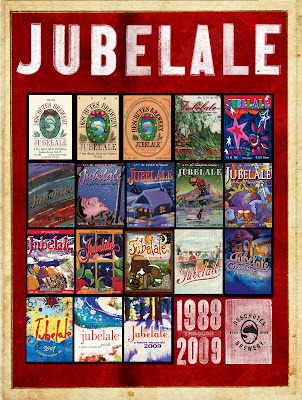 The picture above is every label that has been on Jubelale. They have a new one every year.